Resilient critical infrastructure is increasingly a priority for governments as part of their disaster risk management and climate change agenda. Annual infrastructure spending requirements worldwide are estimated to increase from today’s USD 2.6 trillion to around USD 4.3 trillion by 2030. The insurance industry can play an essential role in working with governments to improve the resilience of critical infrastructure against natural disasters. First, its underwriting expertise offers detailed risk assessment of the critical assets, helping governments “price” the risk exposure of their critical infrastructure. Second, by pooling risks and providing financial compensation, insurance helps restore the destroyed assets in the wake of a disaster. Third, the insurance industry, as an investor, can play an important role in the long-term financing of the critical infrastructure. Governments have also a critical role to play to strengthen resilience regulations and their enforcement as well as to offer an environment which facilitates the involvement of domestic and foreign private-sector (re)insurers. How to define critical infrastructure (e.g., which sectors are included)? What are the public policy options for protection of critical infrastructure? What are the modes of delivery of critical infrastructure by the public sector? What are the challenges in assessing risks of critical infrastructure? How can the CAT risk modelling methodologies be applied? How can risk information be used for design of infrastructure? What risk information is needed for pricing risk? How this information is used for design of insurance products? How does risk information get factored in the investment decisions? The session aimed to prepare a set of recommendations on how to engage the public and private sectors towards addressing increased resilience of critical infrastructure and what priority areas need to be addressed through stronger public and private partnerships. Andreas Prystav is Senior Client Manager at Swiss Re Global Partnerships developing and executing innovative risk transfer solutions to help governments and international financial institutions manage their financial risks and contingent liabilities. Andreas joined Swiss Re in 2007 as Structurer at External Run-Off, a team dedicated to buy and protect non life claims reserves of Swiss Re’s clients. In 2009 he moved to the Strategy team of Swiss Re Group, focusing on the development of Swiss Re’s current strategic set up. Thereafter he joined Treasury department Capital Management & Corporate Finance, working on Debt Capital Market transactions such as the successful issuance of contingent capital transactions and being responsible for intra group funding. Before joining Swiss Re, he worked for Credit Suisse Group, within the Corporate Development team of Winterthur Insurance. 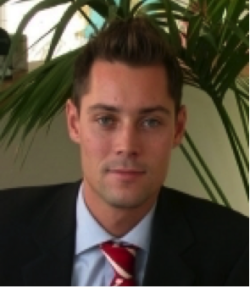 Andreas holds a master’s degree in International Affairs from University of St. Gallen and is a Chartered Alternative Investment Analyst (CAIA) and member of Chartered Alternative Investment Analyst Association.